Kandi Burruss' dream is finally coming true. The Real Housewives of Atlanta star has announced that she is finally pregnant. 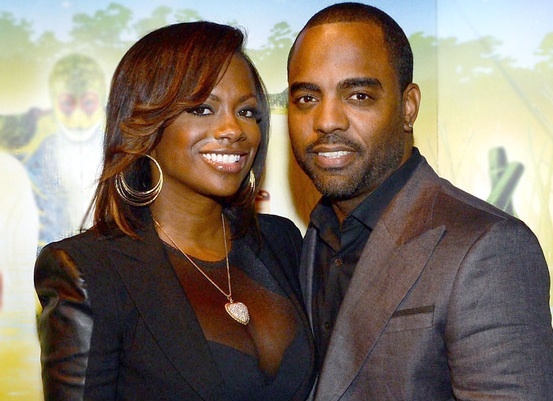 She and Todd Tucker have been married a year as of April 2015, and Kandi was always begging for him to drop his seed in her womb. Todd seemed to be more focused on his make believe career to give Kandi another baby, but what Kandi wants, Kandi gets! On last season's show, I really didn't think these two would make it. And still til this day, their relationship seems rocky on t.v. But hey, what do I know? They could be putting on for the cameras. Anyway, I hope they had a camera on Mama Joyce when they spilled the news. You know she probably went ham!